1 Who is actor Sasha Roiz? Who is actor Sasha Roiz? 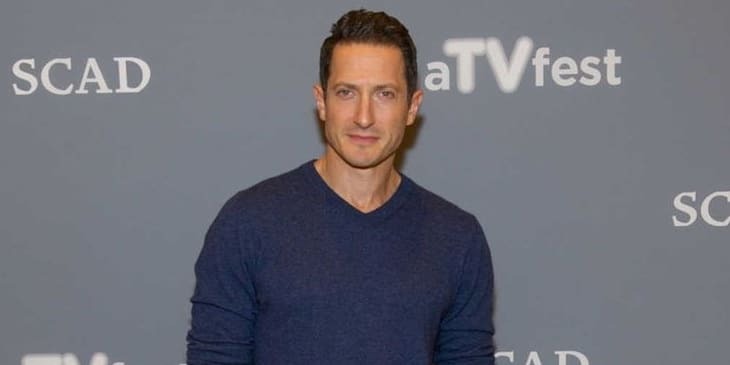 Sasha Roiz was born on 21 October 1973, in Tel Aviv, Israel, of Russian-Jewish descent, and is an actor, best known for his role in the science fiction television series “Caprica” in which he played Sam Adama. He also appeared in the series “Grimm”, in which he had the role of Captain Sean Renard. How rich is Sasha Roiz? As of mid-2018, sources estimate a net worth that is over $3 million, mostly earned through a successful career in acting, having appeared in almost 50 films as well as TV series and shows throughout his career, having been active in the industry since 2001. As he continues his career, it is expected that his wealth will also continue to increase. When Sasha was seven years old, his family decided to move to Montreal, Canada. In his early years Sasha didn’t really think of acting as a career, until later on his education. He initially studied history before deciding to join a theatre school in Montreal, and later attended the Guildford School of Acting from where he graduated. He began his career by initially appearing in various popular television shows as a guest, including in “CSI: Miami”, “The Mentalist”, “Lie to Me”, and “NCIS”, and in “Terminator: The Sarah Connor Chronicles”. One of his first recurring roles was in “Warehouse 13”, in which he played the role of Marcus Diamond – the science fiction television series took inspiration from “Friday the 13th: The Series”, “The X-Files”, and “Raiders of the Lost Ark”, and is recorded as having the third largest debut viewing audience of a series from Syfy. In 2008, Roiz was given a role in the “Battlestar Galactica” spin-off entitled “Caprica”, in which he played the role of the Ha’la’that crime syndicate Tauron enforcer Sam Adama, who is frequently head to head with his brother Joseph Adama played by Esai Moralis, initially in a recurring role until he was promoted to a series regular a year later. He was told that his character in the show would be gay, and Roiz felt that it was a good opportunity to explore the dynamic of such a character in a science fiction setting. Sasha then became a guest in the second season of the web series ‘Husbands”, before in 2011 when he was given another regular role in the series “Grimm”, which is a fantasy police procedural following a detective who discovers he is a “Grimm” – the latest in a line of guardians sworn to keep the balance between mythological creatures and humans. The show’s name is based on Grimms’ Fairy Tales, showing a world in which they would exist, and Sasha stayed with the show until the end of its run in 2017. While working on Grimm, Sasha was a part of film projects too, including “Extracted” which is an independent science fiction thriller about a scientist who becomes trapped in the mind of a convict. He was also appeared in the Paul W. S. Anderson disaster film “Pompeii” which is inspired by the eruption of Mount Vesuvius, destroying the Roman Empire city Pompeii, and starring Kit Harington and Emily Browning. He has been cast in such shows as “Salvation”, which he played the role of President Monroe Bennett, and guest-starred in an episode of “Taken”. Sasha has also worked on voicing video game projects, including lending his voice to “The Godfather II” and “Wolfenstein”. Roiz is known to be very secretive about his love life. His only documented public romance was with Asha Leo, but apparently their relationship only lasted for a year. He mentioned in an interview that he wants to someday marry and have kids, though there doesn’t seem to be any inclination of him heading in that direction any time soon. Similar to many actors, Roiz is very active on social media, maintaining accounts on Twitter, Instagram and Facebook. He loves travel photography, as can be seen mainly in his Instagram page which he documents some of his recent trips. His accounts also post some of his recent projects, and he uses them as an opportunity to connect fans, thanking them for their support. Aside from his acting work which can at times be seen online in promotions, he’s been busy going to various events and meeting fans. He also uses his online platforms as a way for him to promote advocacies and raise funds for charity.